In an administration filled with industry ties and former lobbyists, ethics has never appeared to be a high priority. President Trump’s Interior Department took this to an extreme under former Secretary Ryan Zinke, but with newly released calendars and a lobbying invoice shedding light on questionable industry contacts, it seems that Secretary David Bernhardt is following Zinke’s unethical lead. According to the newly discovered documents, Bernhardt’s former client, Westlands Water District, was billed $25,000 plus travel expenses in March 2017 by Bernhardt’s former firm for federal lobbying done by Bernhardt. The lobbying activity occurred within a couple of months of Bernhardt de-registering as a lobbyist, according to recent reporting by the New York Times. Bernhardt worked closely with Westlands for years, as late as April 2017, just days before he was nominated to be deputy secretary of the Interior on April 28, 2017. A recently released invoice clearly indicates that Bernhardt engaged in federal lobbying activities on behalf of Westlands in January and February 2017 after he de-registered. Yet Bernhardt’s spokeswoman said that the invoice was incorrectly labeled and denied that it was “regulated” lobbying. Without more clarity about what exactly they think was wrong on the invoice and what kinds of lobbying activity he engaged in, we have to ask: why was Bernhardt billing his client for lobbying activity after he reported that he stopped? Recently published Interior Department calendars further undermine Bernhardt’s credibility on transparency around his lobbying clients. 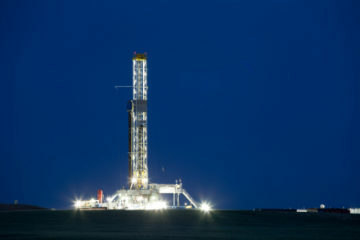 On March 25, Interior provided approximately 7000 calendar and scheduling documents to the House Natural Resources Committee, but only after he previously told House Natural Resources Chairman Raúl Grijalva that he had kept no calendar other than what was provided online. Beyond contradicting his previous claim that there were no other calendars, the newly-released documents, referred to as “daily cards,” also are significant to discovering whether Bernhardt had scheduled meetings with any of his former clients. Bernhardt’s ethics agreement requires him to to comply with President Trump’s Ethics Pledge barring him from certain meetings with his former clients and from participating in particular matters and specific issues on which he previously lobbied. Two of the newly-disclosed meetings were with individual members of trade associations he formerly represented, which highlights the ineffectiveness of the Ethics Pledge. Several meetings were not reported on previous versions of the calendars, and are some of many discrepancies. On questions of ethics, the Trump administration has not earned the benefit of the doubt, and neither has the leadership of the Interior Department under President Trump’s appointees. 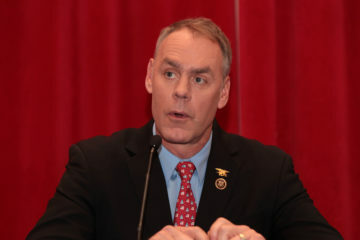 Bernhardt’s predecessor, Ryan Zinke, was the subject of 18 federal investigations by the time he left the post, for everything from meetings with lobbyists to shady business deals. It looks like Secretary Bernhardt is off to a similarly dubious start. Several complaints about possible violations of his ethics pledge have been filed against Bernhardt for working on the issues that he lobbied on for Westlands Water District. CREW filed Freedom of Information Act requests about his meetings and communications with former clients. Despite this questionable conduct, Bernhardt was recently confirmed as the permanent Secretary of the Interior. Adding to the concern about all of these questions is the fact that since 2009, there has not been a permanent Inspector General at Interior. It is clear that Bernhardt’s behavior will not escape scrutiny, but we should not even have to be asking these questions. April 11, 2019: This post was updated to reflect Bernhardt’s confirmation as Secretary of the Interior.